What a treat! A friend of mine has lent me his Contax G2 unfortunately he expects it back...Well lets stick to the positive, I have a camera to test out and it is nothing short of the much lusted after G2. So lets dig in and see what we find. I had heard a great deal about this camera and I had considered purchasing one, however the costs have recently jumped. This kit used to cost 650 GBP but today it is around 2,200 GBP. A bit rich for my blood...but that is what a great number of people have said about this camera since its release in 1996. The concept was a poorly worded "camera which works". I believe they meant a camera that would get out of your way and shoot great images. The idea is a simple one, a camera that can do everything, a small body and amazing Zeiss glass. What is not to love about it. As soon as I held it I was impressed with the build quality. This is not a cheap point and shoot and was never meant to be. This was a compact, travel camera that could take professional quality images. Loading film is a breeze and the camera has the capability to do everything for you. Autofocus, continuous focus, single focus, DX ISO, single shooting or continuous shooting, auto film advance and auto shutter speed. 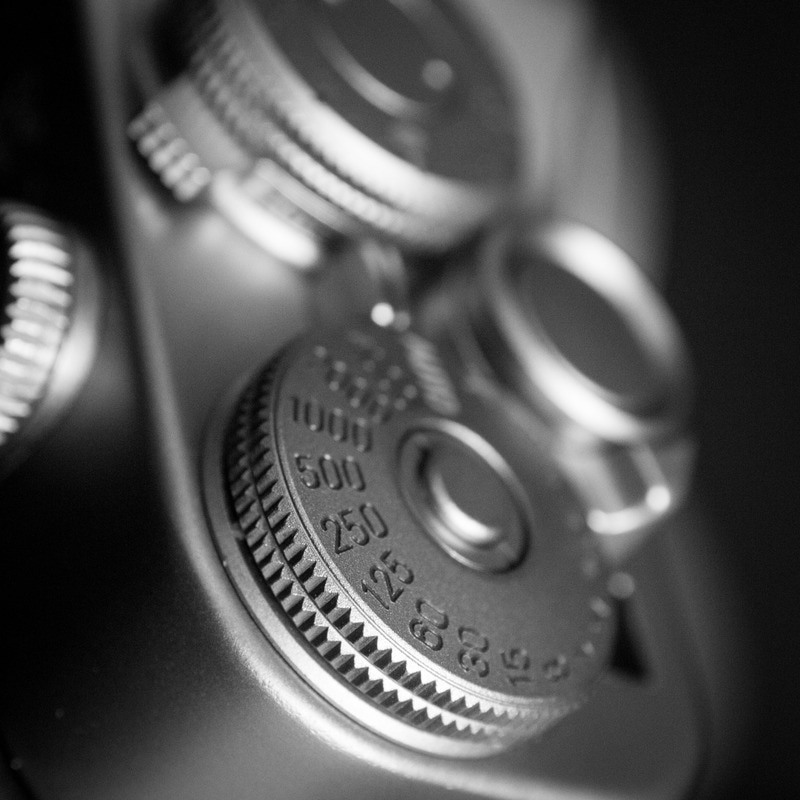 The camera is built to set the aperture and let the camera do the rest. The manual even starts with setting up the camera in that way. 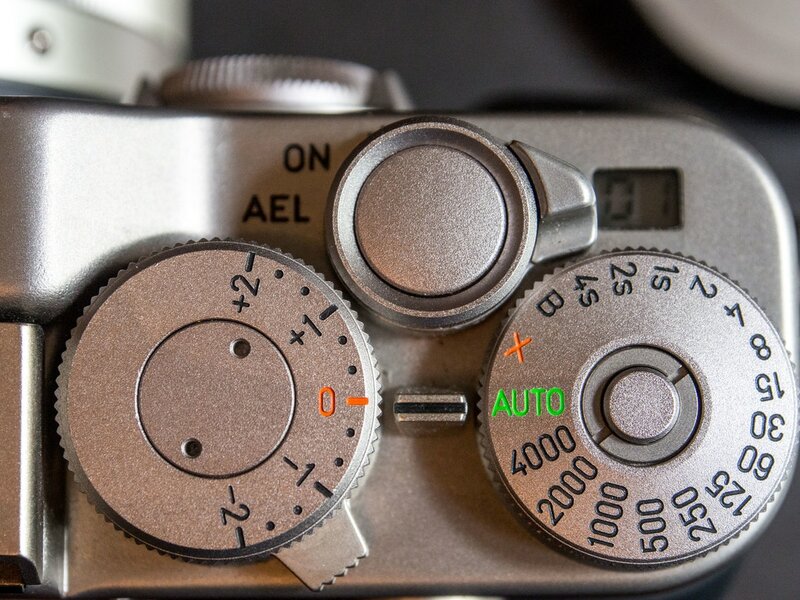 You can change to manual focus but you use the dial to the left of the lens to change focus. 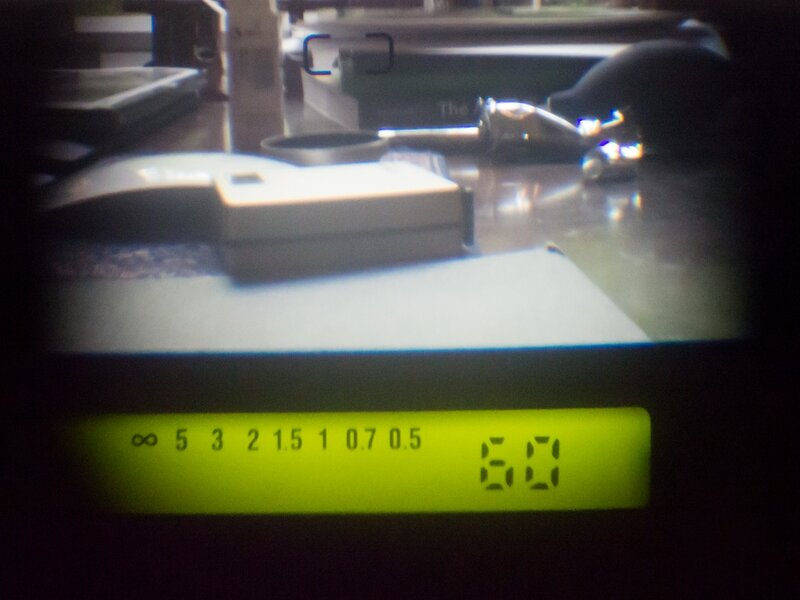 You can set the shutter speed manually as well on the top. So you can shoot this camera in a completely manual way if you want however this is a concession that Contax built in. It has been designed, very well designed, to be as automatic as possible. The set my friend lent me is absolutely mint, I have not seen a used camera in such a great state in years! He lent it to me with three lenses, the 21mm, 28mm and 90mm. Notably absent was the 45mm which is closer to what I am used to shooting. That being said I did not miss it at all. I mostly used the 28mm and had fun shooting it. The camera has every option to influence your picture imaginable. The dials are well thought out, easy to use and are successfully put into the small real-estate of a compact body. The ergonomics are well designed, making it easy to hold onto with a nice rubber grip. The viewfinder is slightly raised which makes it easy to use. The LCD screens gives you just enough information, not too much or too little. The icing on this cake are the lenses. They are Zeiss made glass of absolutely amazing quality. The lenses were made for the camera making them match to perfection with the camera itself. This is sharp, fast and contrasty glass with the character of Zeiss. Not much to say here at all. To nitpick I would say it is a bit heavy. You cannot have great quality without having a bit of weight and it is not that the camera is too heavy just that it is not as light as it seems. Not sure if that makes sense. The viewfinder is rather small compared to a Leica M6 or even the Olympus Stylus point and shoot. It is easy to use but just not as big as I am used to. 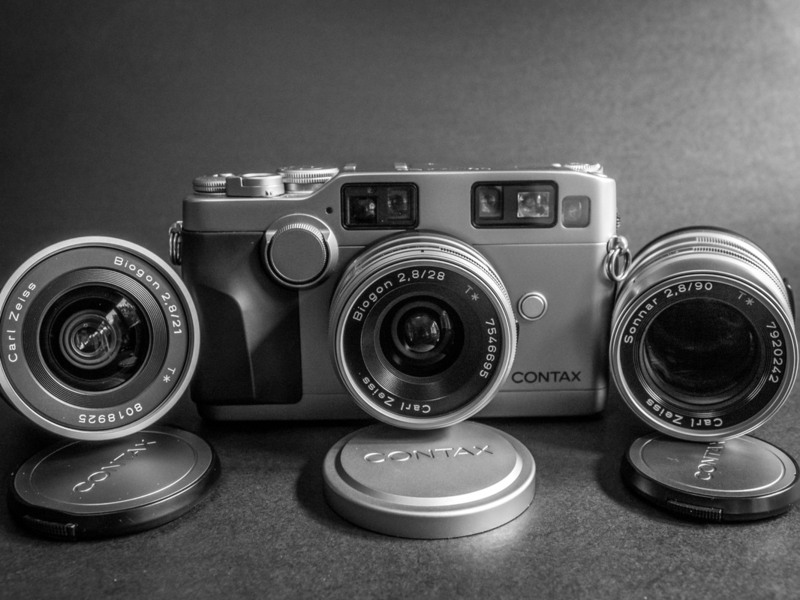 With the cost of the Contax G2 these days, I believe you need to pick between Leica and Contax. Some will be able to afford both and more power to them but frankly it is a bit repetitive to own both. This is the most advanced film camera I have used and it is a pleasure to use it. The quality feels as good as Leica and the lenses are better than many Leica's I have seen. My concern is that it is auto everything. Sure you can push it to manual but the camera is built to be left on auto. Manual mode is not native for the camera. One simple action of shooting film cameras that I found myself missing is the film advance lever. The G2 quickly, efficiently and quietly advances the film. But I like the act of advancing the film. I believe there is a place for auto cameras, I love my Olympus Point and Shoot camera, but for something of this quality I prefer to have control over it. For shooting running kids or faster action this camera makes it a breeze. If you want a camera that you can relax and just focus on the composition of the image then this is an amazingly great choice. But if you are going to buy one camera, I would suggest something that is easier to take control of. It is getting more expensive everyday. That being said, all film cameras are. This one is worth every penny. It is great quality and amazing glass. A good set will still set you back 2,000 GBP which is not cheap. Manual for Contax G2 can be found HERE. Please make a contribution as this site is amazing! Great review can be found HERE. Shorter but still good review found HERE. Sample photos can be seen below. After a close look at the scans....wow those lenses are AMAZING. I missed focus on two shots out of a roll of 24 exposures (I got 25 out of the roll). Shot on Ilford Delta 100 at an ISO of 100. Processed on ID-11 at a 1:1 mix ratio. But look at the contrast on that tree! Zeiss lenses have built the reputation for many cameras including Hasselblad and obviously Contax as well!